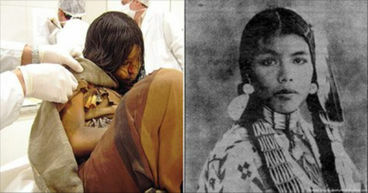 She was sacrificed by her tribe for a ritual, but was discovered by archeologist in 1999. Many say she's the best preserved of any mummy to ever exist. I've already heard of her, but thank you for sharing. Remember reading about her, amazing.